As a professional, your time is valuable. The STIHL FS 70 R grass trimmer understands that. It features a powerful and fuel-efficient engine, which means longer run times and fewer refuels. The FS 70 R is also powerful (more powerful than the FS 56 RC-E) and makes quick work of your daily landscaping tasks. Need more line? Just tap the cutting head on the ground and watch as its AutoCut® head automatically feeds out new line. 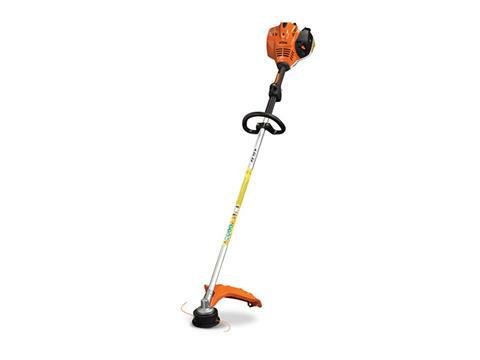 The trimmer is also built to last, featuring a durable cable drive shaft, a high-durability, forged connecting rod and a 4-bearing gearbox.